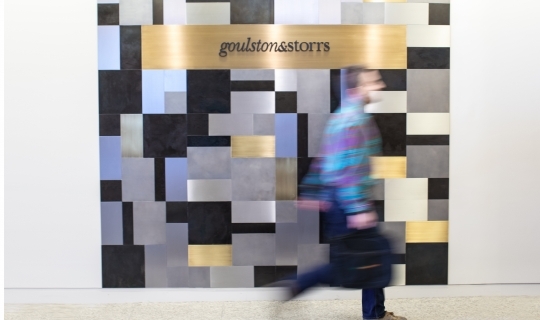 At Goulston & Storrs, we seek paralegals who are professional and sophisticated self-starters. The firm has a truly collaborative environment where paralegals work very closely with attorney teams to get the deals done. Comprehensive computer and technology training. Internal legal educational seminars alongside attorneys. Offsite continuing education opportunities and coursework. Participation in trade associations related to your field. You will be assigned an attorney mentor to help with a smooth transition to firm life. You will work with an attorney ‘work allocator’ who will ensure your workload is balanced and interesting. Network with your peers. Enjoy lunch with paralegal colleagues both within and outside of your practice group. Meetings aimed at providing educational information about the firm, practice ethics, skill building and other important topics. Social events allowing you to network with your peers. How Do Paralegals Get Work Assignments? A director ‘Work Allocator’ is responsible for coordinating work assignments for paralegals. This Work Allocator strives to ensure paralegals are exposed to a variety of work so that they gain a broad range of experience. Absolutely! All paralegals have the opportunity to work on pro bono assignments. What Kind of Feedback Do Paralegals Get? Paralegals receive formal reviews every six months for the first two years of their employment with Goulston & Storrs. After that, you will receive annual formal performance appraisals where feedback is incorporated from every attorney with whom you have worked. You'll also receive informal feedback almost daily, through edits to your written work and suggestions for improving your performance. Salary reviews are given annually. Our official policy is not to have a billable hours policy. We expect that you will do the highest quality work on time and do a great job communicating to both your colleagues and clients. Are There Opportunities for Alternative Work Arrangements? Yes. Several of our attorneys, paralegals and secretaries work or have worked reduced hours to accommodate family matters. What Benefits Are Offered to Paralegals? Our paralegals are offered a competitive set of benefits.